Your health is important — and sometimes, expensive. Give it the priority it deserves without additional stress. 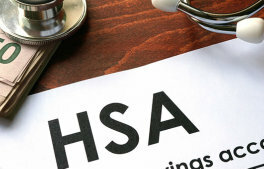 An HSA enables you to set aside for qualified medical expenses before they occur and benefit from tax advantages in the process. * That way, you're always prepared and financially strategic. View the Health Savings Accounts and Other Tax-Favored Health Plan (PDF) provided by the IRS for more information. **You can withdraw funds at any time for any purpose. However, if funds are withdrawn for reasons other than qualified medical expenses, the amount withdrawn will be included as taxable income, and is subject to a penalty. Am I eligible for a Pacific Express® Health Savings Account?